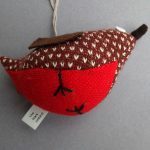 A delightful handmade robin, great as a decoration and scented with lavender too. 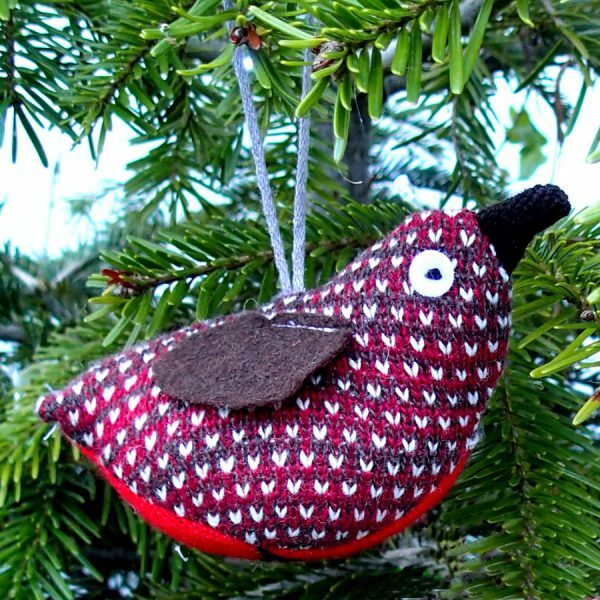 Ideal to decorate your home, remind you of Winter walks or as a sweet Christmas tree decoration. 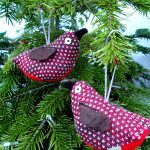 Lavender Robin is both a great decoration and also a clothes scenter so it’s not just for Christmas as it’s useful all year round! 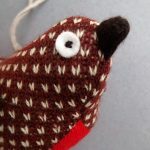 Made in The Black Rabbit studio near Margate with a high quality lambswool knit. 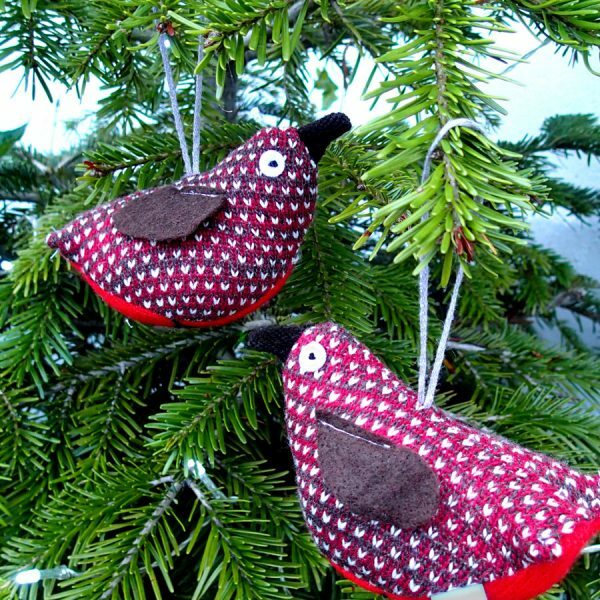 Each one has hand embroidered eyes and feet and hand cut felt wings. Knitted in a brown and cream pattern with a bright red front, they hang from a cotton cord and contain dried lavender in with the stuffing. Measuring 13cm wide and 7cm high robin is made from 100% lambswool outer and stuffed with lavender and polyester stuffing. It is not advisable to wash this product because of the lavender filling. Wipe clean with a damp cloth. 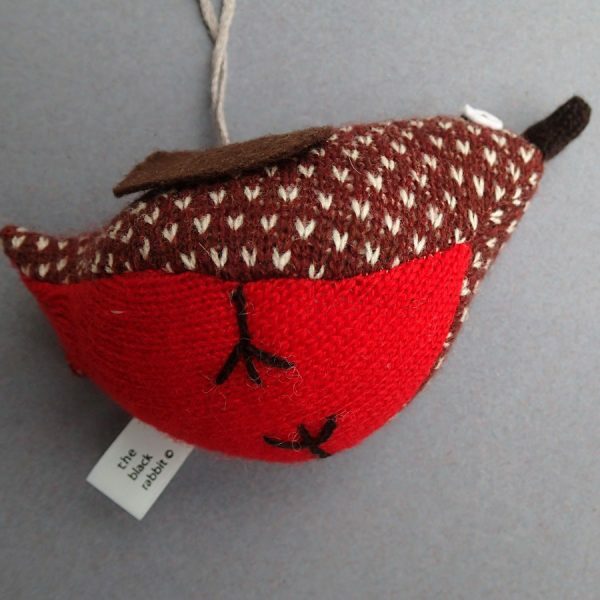 Please note that this is a lavender bag and decoration only and is not intended for use as a toy.